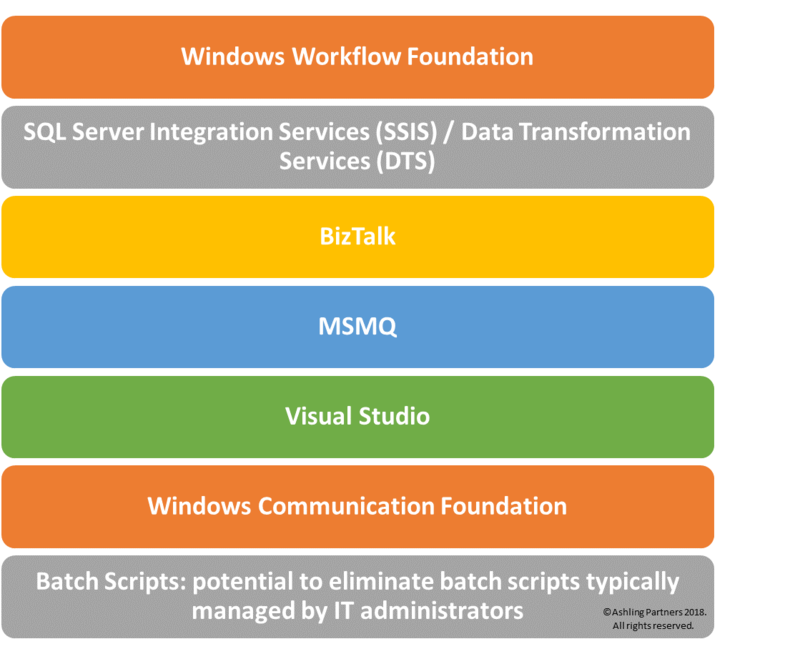 With over 15 years of experience in the Microsoft stack at Emtec, I've dealt with esoteric toolsets for many years. Therefore, I was excited to learn more about the new platform that UIPath offers as a robotic process automation (RPA) framework. After my initial review, it really feels like UIPath is striving to remove the sometimes very steep barriers to entry across an array of integration tools. Furthermore, it provides a single platform to achieve results that would otherwise require the stitching together of disparate tools that can work together- but require a very broad knowledge base that is difficult to find in your average developer. At UIPath, they've taken the liberty to evolve these processes into software robots that can be built not only by developers, but also by users/power users. They have even developed a marketplace of pre-built ‘bots’ that clients can leverage to further reduce time-to-market. This greatly increases the speed and efficiency of building integrations and automations within the enterprise. With any new toolset, there could be short comings and there will certainly be specific scenarios when some of the esoteric Microsoft stack tools would still be the best option for a multitude of reasons. But UIPath is attempting to remove barriers to entry and leverage the power of software-based process robots and the process know-how of power users, to build bots quickly and accurately to automate processes throughout the enterprise. The new UIPath 2018 "Firefly" release is a scalable Enterprise-ready RPA Growth Platform release. Software is a wonderful thing because it is always evolving and improving- and UIPath is no exception. I am excited to see the results delivered in this rapidly evolving and innovative space!